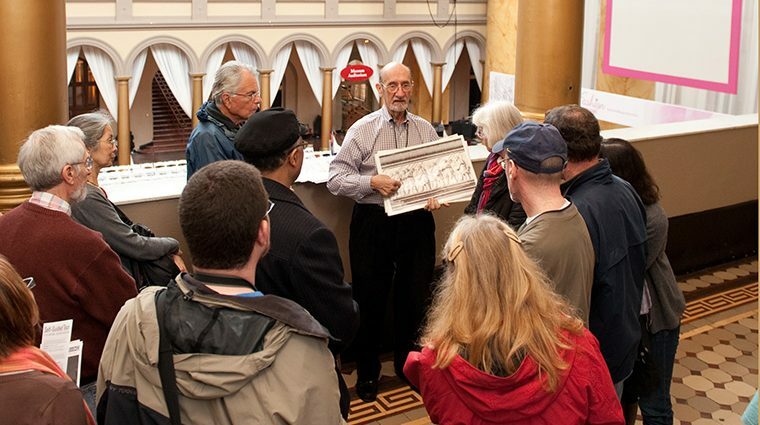 Book docent-led group tours of the Museum's historic building and exhibitions. Educators, bring your school group to the Museum for a guided activity or for independent exploration. 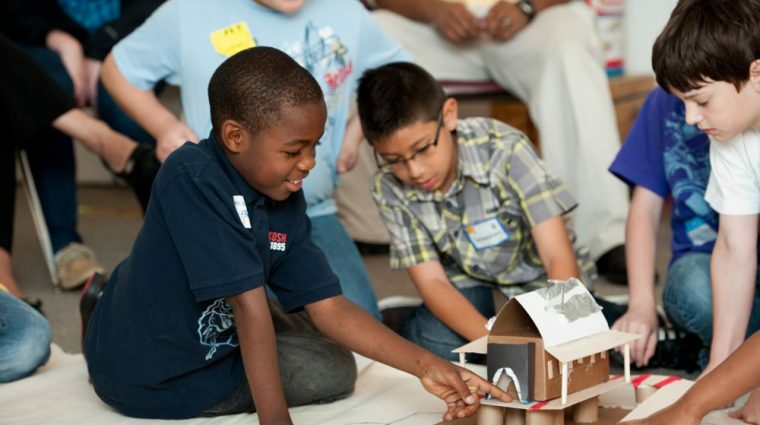 Free: National Building Museum Members; join today. Visit the Museum Shop during public hours—all purchases support educational programs and exhibitions. The Museum hosts Firehook Café, featuring coffee and beverages, sandwiches, salads, and snacks. Available Monday–Friday, 8:30 am–4:30 pm; Saturday, 10 am–4:30 pm; Sunday, 11 am–4:30 pm. 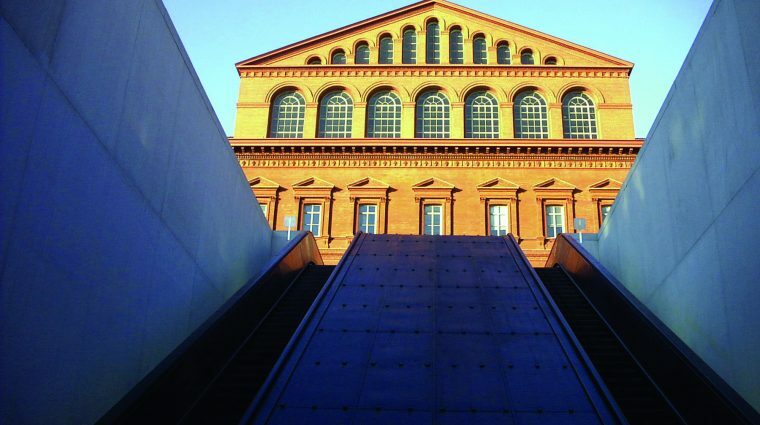 Metro: The Museum is located across the street from Judiciary Square station on Metro’s Red Line. Alternatively, take the Yellow, Green, or Red Lines to Gallery Place/Chinatown station and walk two blocks to the Museum. Metrobus: Three Metrobus routes have stops located near the Museum: D6, 80, and X2. Capital Bikeshare: The closest bike stations to the Museum are located at 5th and F Streets, NW; 7th and F Streets, NW; 4th and D Streets, NW. Parking is challenging near the Museum and we recommend using public transportation whenever possible. For those who plan to drive: we have partnered with SpotHero to help visitors find and purchase guaranteed parking at many convenient locations in the area. To reserve your parking spot, visit the National Building Museum SpotHero Parking Page and book a spot with rates up to 50% off drive-up. Once purchased, parking for the National Building Museum is 100% guaranteed even if the location otherwise fills up, often at exclusive discounts. Simply present your purchase confirmation at the selected location, and this serves as your payment with no additional payments or fees ever. Additionally, metered parking is located on 5th, F, and G Streets (please check meter carefully for hours of operation).